One of the most frequent telephone calls I receive is from Bounder owners checking to see if our firm has a particular part. Usually the requested part is unique to their coach and is not available from an aftermarket supplier. When I suggest that they contact their local dealer or the one that they bought the coach from, they often say that the dealer is no longer in business or in some cases the dealer is no longer a Bounder dealer. When Fleetwood Enterprises (the prior Fleetwood company) declared bankruptcy, all of the dealer contracts became void and the new Fleetwood RV had to negotiate with dealers to carry the new product lines they were going to bring to market. Some were original dealers however many are new ones. Fleetwood RV made a crucial change to keep the flow of parts going an allow owners to obtain replacement parts. They opened their parts supply warehouse to retail RV owners as well as dealers. This is a ground breaking change and commendable from a consumer perspective, and it makes good business sense. On the surface you might think that the new dealers are at a disadvantage, however given the cost of carrying inventory and the turnover of it, they usually only stocked the very popular items and ordered the remainder on an asneeded basis. They may or may not have been able to return old stock and that often meant that they had to keep old inventory that was not selling, tying up capital that could be deployed in other (better) ways. Of course they bought at a discounted from retail price and sold it at retail. Sometimes they passed along the shipping cost if the item was particularly expensive to ship. Now look at the new system. You order the required part, pay retail for it and the cost to ship it to you and it is delivered to you where you are. If you can install the item yourself then you save the installation cost, if you want a dealer to install it you can take it in and have their RV technician carry out the installation. At the very least you have the component and if there were other parts required to complete the installation you often are informed of that when you placed your order so you can get everything required to make the repair. The first step in the process is to obtain the F.I.N. or Fleetwood Identification Number (the Fleetwood serial number). The most convenient place to find this number is on the silver sticker mounted on the exterior of the coach immediately next to the Driver's side exterior mirror. This sticker contains the F.I.N., typically a nine digit combination of letters and numbers, the date of production in month, year format (i.e. 04 2007), and the Model in number and letter (35E) format. If this sticker is no longer legible then check the carrying capacity data sheet in one of the kitchen cupboards or on the paint and trim code sheet in the wardrobe. When you have recorded this information call Fleetwood RV at 1-800-322-8216 and follow the voicemail prompts to get to the parts department. Make your request and supply the F.I.N. if requested, provide a shipping address and credit card and you will receive the parts in short order. Recognize that there are a number of original equipment suppliers that have gone out of business and some parts may not be available. That does happen and you may need to try and locate the company that bought the end of line production or the remaining parts that company had produced before going out of business. If you have a new to you Bounder and did not receive the owner's manual, appliance manuals or a chassis service manual you can follow this link to the Fleetwood web page where this and additional information is available: http://fleetwoodrv.com/contact/faq_mh.aspx You can also request copies of the electrical, plumbing, basic sidewall construction and similar documents. These are supplied in an Adobe PDF format and can be stored on your computer's hard drive for reference. 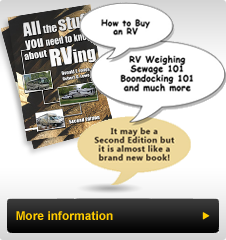 While you may think that this is all "what you expect", I can assure you that many other RV manufacturers which have gone bankrupt and taken over, the new companies did not honor the warranty commitments, or make parts supply arrangements. For those that have gone out of business completely, the Coach owner is often dependent upon online user groups to locate the suppliers that made the components for the now bankrupt RV manufacturer. Fiberglas Body parts may be able to be repaired or molded on a one by one basis but finding a proper match may be difficult. We can be very thankful that Fleetwood RV has supported those that bought Bounders before the bankruptcy as well as those buyers of new Bounders.